Construction industries are blooming in the fastest phase in recent years. To stay ahead in the competition, they utilize various technologies and try to keep up with the current industry trends. Go through our detailed infographic if you are planning to expand your business in the construction sector. Feel free to share or download our infographic. China – Expected to spend USD $2.1TN on the construction market. United States – It is said to add USD $30TN on construction work. India – India has planned to use USD $13TN on building and infrastructure work. Indonesia – It is expected to spend USD $304BN. United Kingdom – The UK will add USD $6TN on the construction market. In 2017, the construction spending to GDP ratio was at around 6.36 percent in the United States. The total value of new U.S construction was roughly 1.23 billion U.S. dollars in 2017. The construction expenditure is projected to exceed 1.42 trillion U.S. dollars in 2021. In the United States, the construction industry hired 10.3 million employees in 2016. 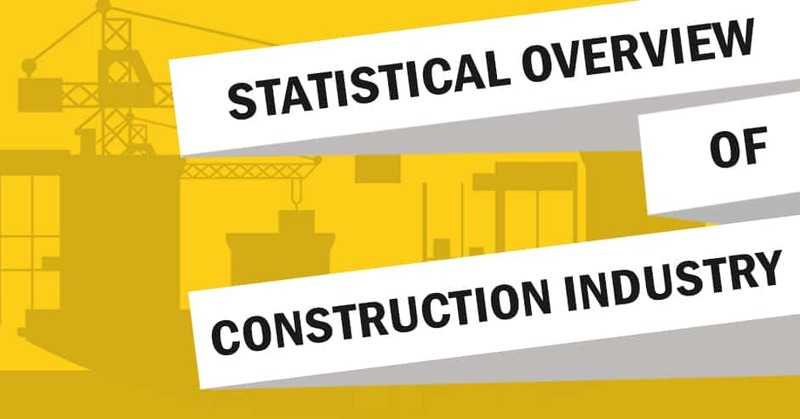 The annual construction index in Great Britain saw a rise in 2017 with 109.8 index points. 75% of firms are planning to add headcount in 2018. 78% of firms are currently facing difficulties to find skilled labor. 82% of firms expect labor search hardship to continue or get worse. Modular Buildings: 461 Dean in New York is one of the world’s tallest modular building. Hotel giant Marriott plans to build 13% of their hotels using modular construction. Stay Green: Up to 40% of solid waste comes from building industries in the US. The construction industry has a tremendous influence on the economy of the United States as well as other companies across the globe. The competition in construction segment is hard, and risk involved is high. But one can achieve incredible rewards if appropriately managed.